It was the 1st time for us to provide water for the mass on the street! The Secretary for the Environment Mr. Wong Kam-sing and Big Waster have also joined and supported us. 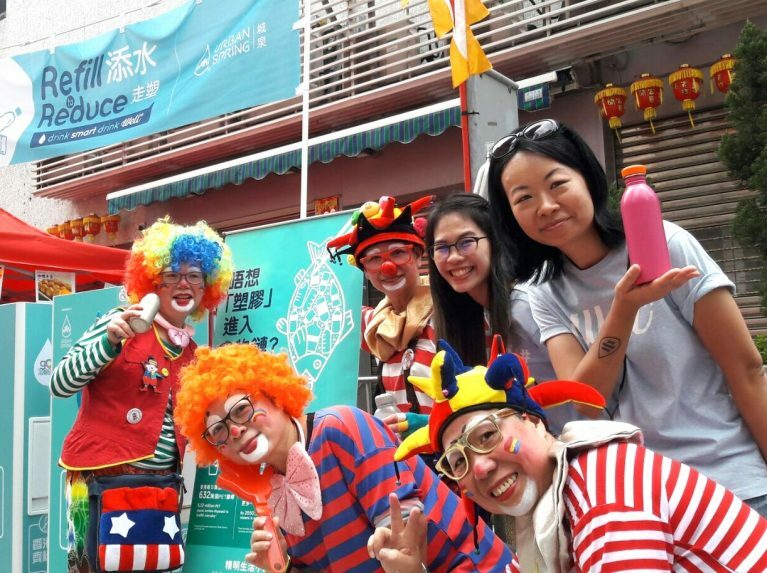 Reusable lunch boxes and water bottles were provided for volunteers which have saved thousands of plastic bottles. Event at Hok Tau Reservoir has been cancelled due to adverse weather signaled by the Thunderstorm Warning. 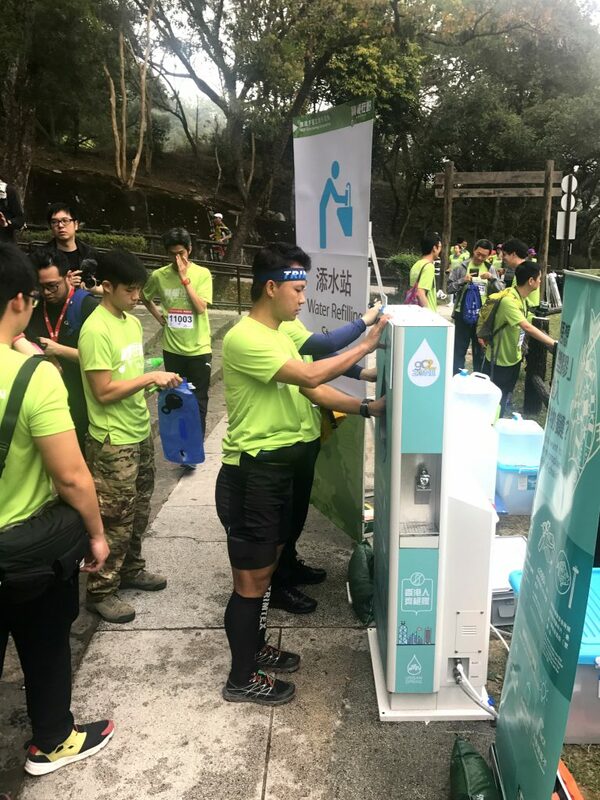 Glad to see participants were responsible to nature by refilling their bottles with our water stations. 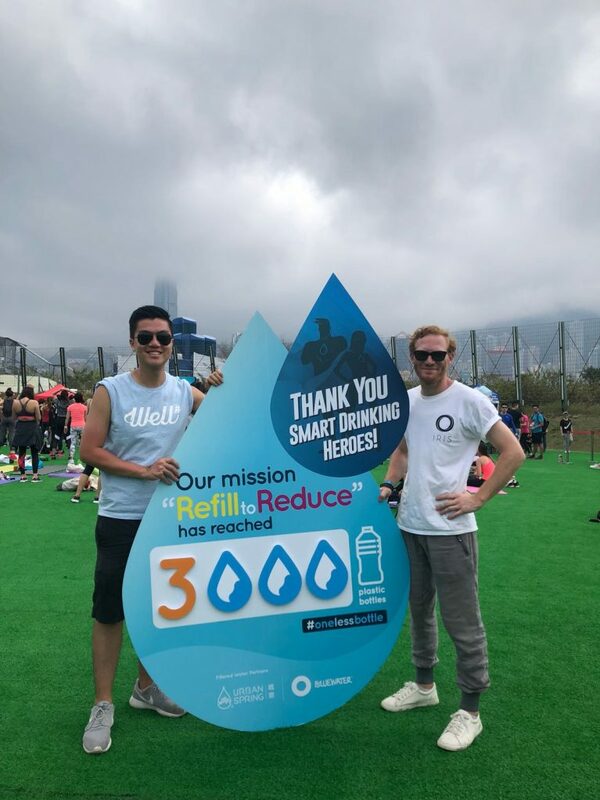 Near 6,000 bottles have been saved in 3 events over the weekend! 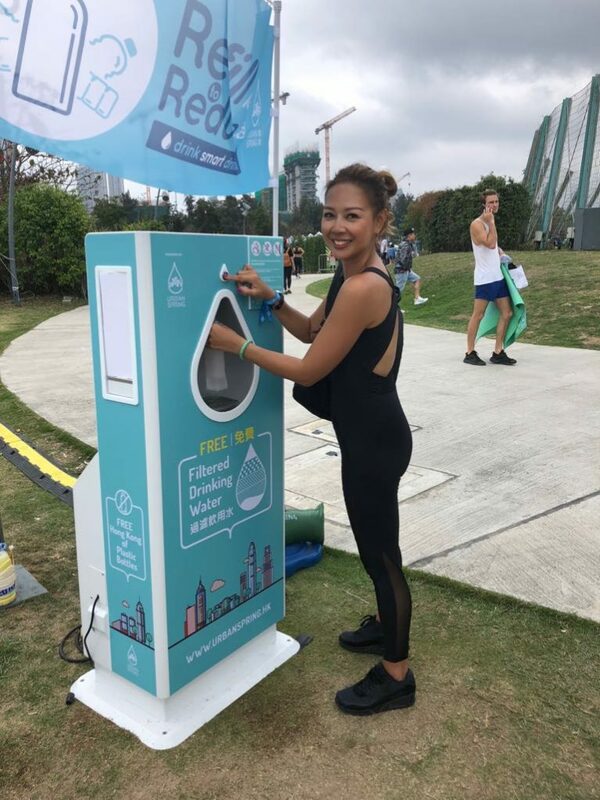 We are excited to see more environmental-friendly elements in local mass events. 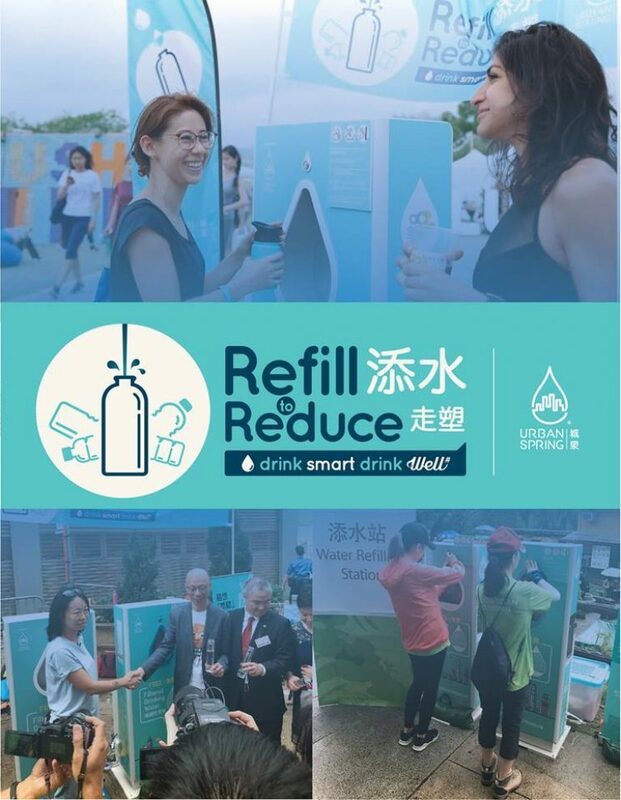 Let us pass the message of “refill to reduce” along, looking forward to see all of you again with your own bottle! 我們樂於看到更多大型活動加入環保元素，希望下次可以再見到大家自攜水樽，成為Smart Drink Hero，無論在城市或郊外，都可以找到Urban Spring添水站，加入「添水．走塑」行列 !